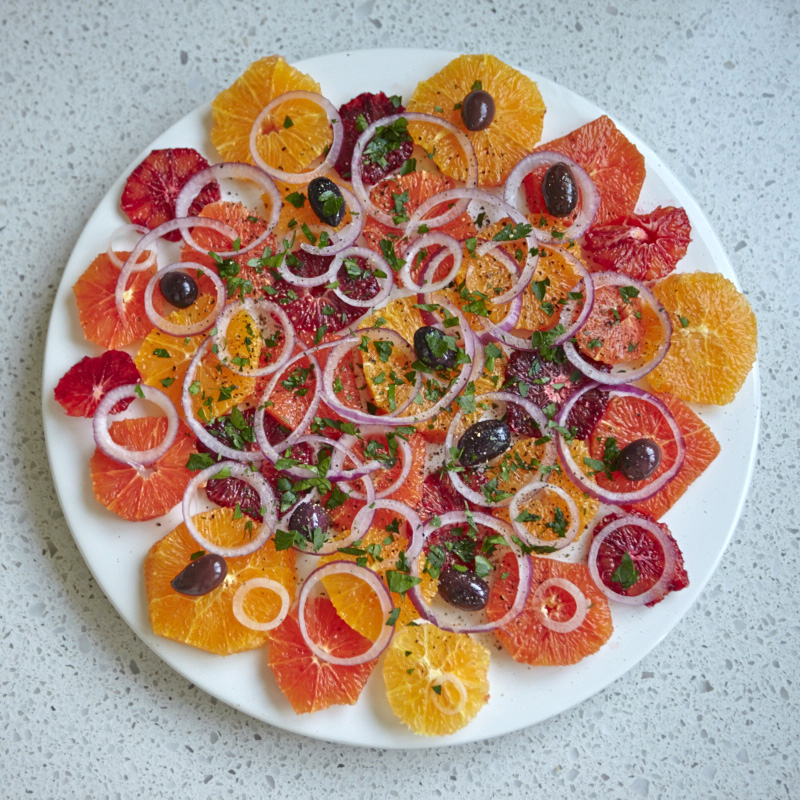 Last week brought some unseasonably warm days to the West Coast and those sunny spring days along with the tail end of of citrus season were the inspiration for this bright and refreshing Sicilian Orange Salad. 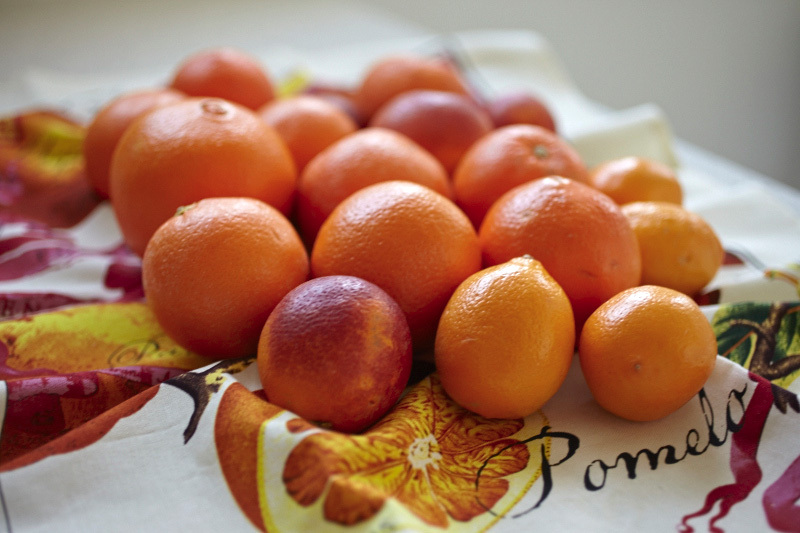 If you can find them, include different citrus variations for added color! To peel the oranges, cut off both ends of each fruit with a sharp knife. The flat surface will allow the fruit to "stand". With a sharp knife, following the curve of the fruit, cut off the rind and all of the pith. 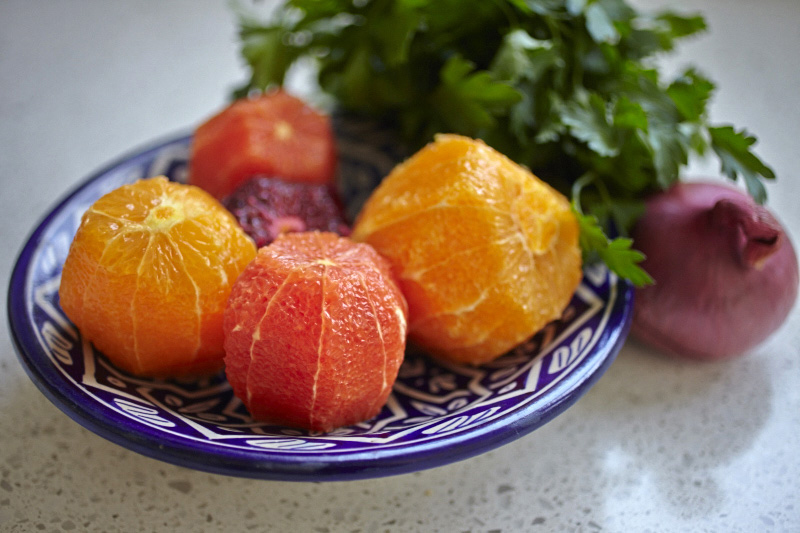 Place fruit on its side and cut crosswise into 1/4" rounds, carefully removing seeds and any remaining pith. 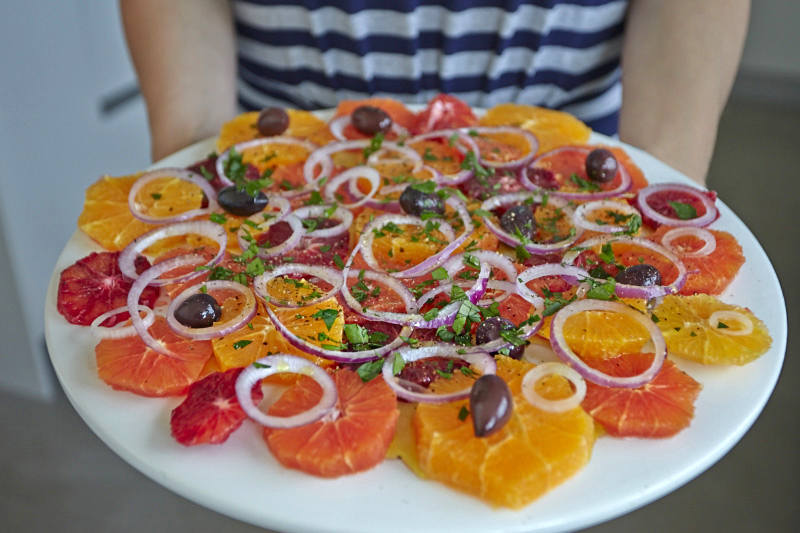 Layer the orange slices on a large platter, trying not to overlap too much. 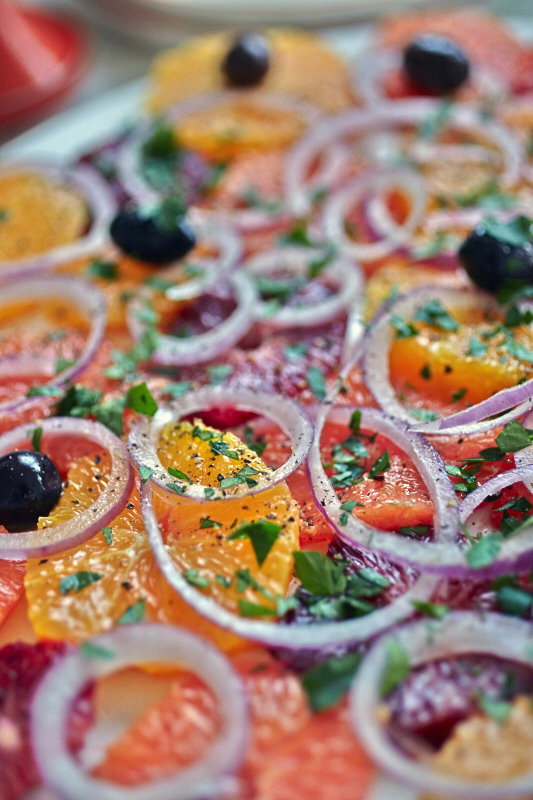 Then slice the red onion into very fine rings, scattering them over the oranges along with the black olives and Italian parsley. 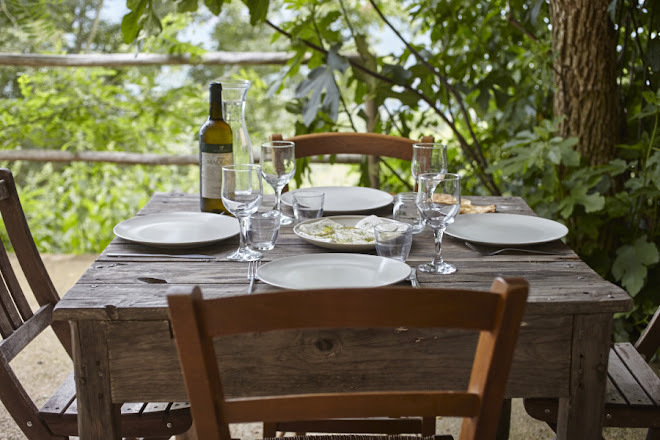 Season with a generous grinding of fresh black pepper, sprinkle with some coarse sea salt and drizzle with olive oil.